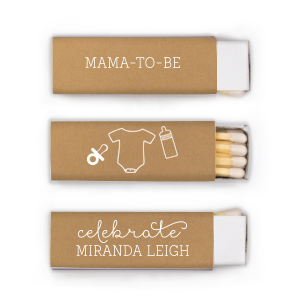 Create a super cute party favor with personalized baby shower lipstick matchboxes. Include your baby shower color palette and theme to make custom lipstick baby shower matchboxes to share today. 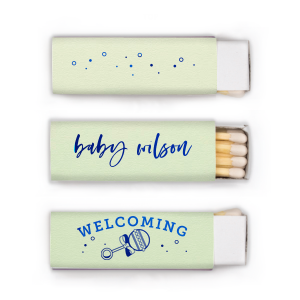 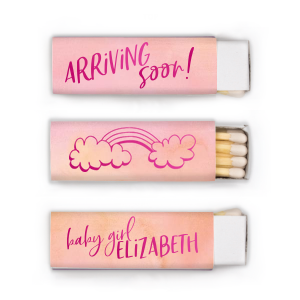 Your baby will light up your life, so give your guests a little love and light, too, with custom designed baby shower lipstick matchboxes. 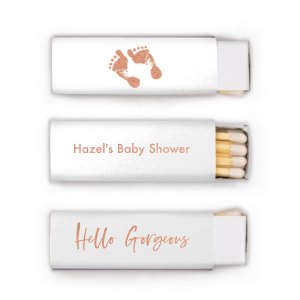 Create a personalized baby shower lipstick matchbox to give your baby shower guests as a party favor. Choose from a gallery of images and spread some "giggle, grins and diaper pins" with your customized baby shower lipstick matchboxes. Your custom baby shower lipstick matchboxes will be a darling addition to the baby cheer that your guests will hold dear. 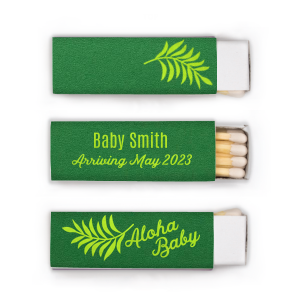 Personalized baby shower lipstick matchboxes are a practical and fun baby shower favor, so get started on yours today.